Lentil soup–pureed and now ready to eat! Saute onion in olive oil for about five minutes, until translucent. Add in carrots and cook for another three minutes. Add in garlic, spices, and tomato sauce and cook for a minute longer. Add in lentils—stir all ingredients well and then add water. Bring to a light boil and then reduce heat to medium-low. 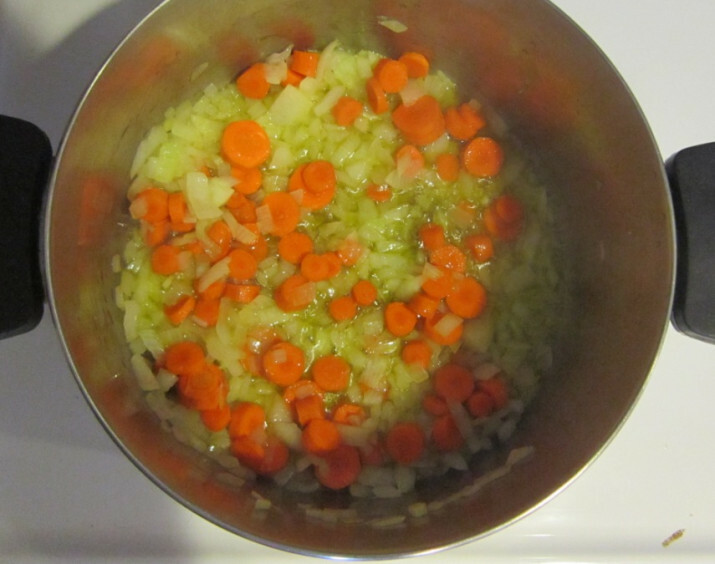 Cook soup until lentils are very soft: 25-35 minutes depending on if lentils are pre-soaked or not. (Cook longer to make soup even easier for your baby to eat and digest.) Note: if you make your own broth feel free to add a cup and reduce water accordingly. 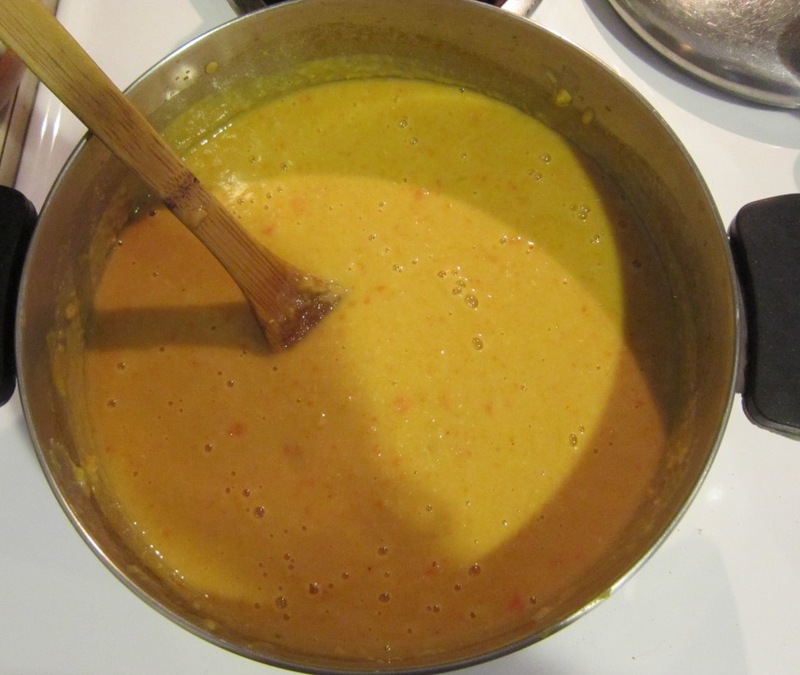 Puree your now finished soup in food processor or with immersion blender. Before serving, you can top with lemon, chopped mint, or olive oil if you want. Serve with warm bread. For babies, it’s perfect just as it is or mix with grains and other vegetables to make a baby food mix. This recipe freezes well if you want to save some in ice cube trays to add to baby food mixes later. A great recipe no matter your age, we started giving this to our son at around 8 months, mixed with grains and other vegetables.